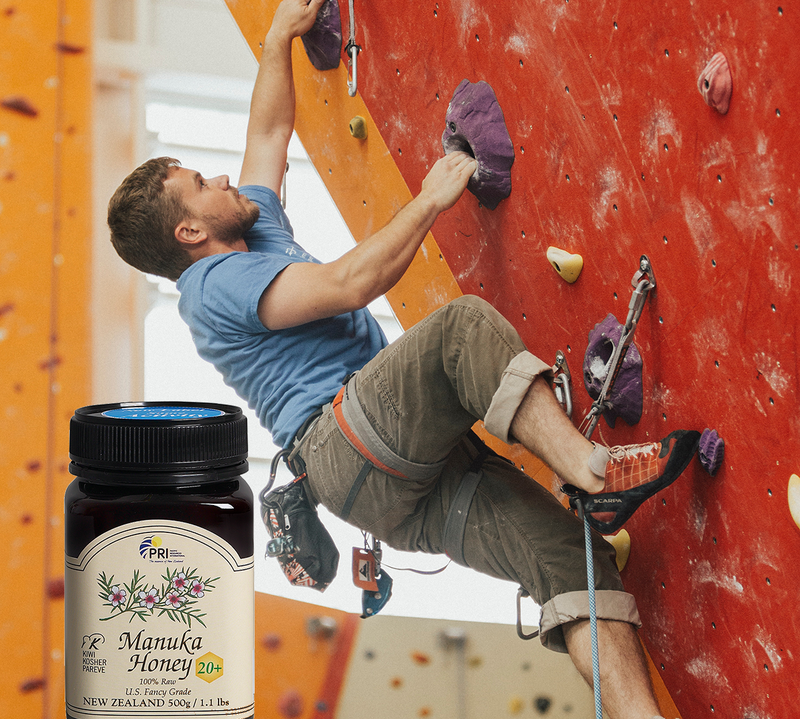 More and more sports enthusiasts are turning to Manuka Honey as that natural energy boost as a natural carbohydrate. Look no further than Novak Djokovic, a world-class tennis player who consumes two spoonfuls of New Zealand Manuka Honey every day to help increase his endurance and is prized for its well-known antibacterial properties. As an added benefit, PRI’s award-winning Manuka Honey Lozenges can soothe a sore throat when athletes have to deal with running in cold weather. Not only do these lozenges work as well as energy gels, they taste a lot better! In fact, the flavor of Manuka Honey is rich and smooth with the right balance of sweetness. Honey is a natural form of energy, free of stimulants and artificial ingredients. Sports nutritionists have for decades recommended honey for training and competition. It is packed with carbohydrates – with fast release glucose and slower release fructose – it is ideal for providing athletes with sustained fuel. And while taking Manuka Honey that is antioxidant-rich, it protects the bloodstream and nourishes cells. And perhaps equally impressive, honey does not interfere with the digestive system and removes discomfort associated with artificial sweeteners. The final takeaway is that science is catching up to what we all have known – Manuka Honey is fit for an athlete and those wanting the best in nutrition. Next What does Manuka honey do to bacteria, exactly?